Although we love our brands and products dearly, it’s fair to say that some are sexier than others. Some brands are fantastic, but their products can be somewhat mundane and difficult to sell to anyone who doesn’t know they need them. It’s true that one person’s toilet seat cover is another person’s iPhone, but generally it’s easier to market crowd-pleasing products like alcohol, smartphones or cars than it is to market ‘dull’, everyday products like office supplies, toilet paper or key-cutting services. Nevertheless, these things need to sell just as much as the more attractive products do, which is where your digital marketing strategy comes in. Every brand has a story, and it’s likely that your products do to. Why was your product created? How long has it been knocking about for? How do people use your product? Does it make a difference to the world? How? The answers to these questions can be brought together to form an interesting narrative, provided you use compelling content to bring your tale to life. Having a story will give your product more of a purpose, making it more than something that might get taken for granted day-to-day. If not your story, tell a different one! Remember those BT ads that followed the lives of a family experiencing the ups and downs of everyday life? The family became well-known among the public, and the giant telecommunications company even ran a social media campaign asking members of the public to choose the outcome of the storyline. Creating a story that people can follow is a great way to hook your audience and grab people’s attention. A good story will get people talking and remembering your brand. Using social media as a platform for your content is an absolute must, as it provides a basis for sharing. The more sharable your content, the higher your potential reach. You can break the ‘dull’ stereotype by giving your brand, and therefore your product, a personality. Products, particularly those that require a lot of technical language to describe their purpose, don’t always evoke an emotional response from potential customers. But that doesn’t mean you can’t market what you sell. An effective way to show your human side is to introduce your audience to your company culture. If your company sells something that’s tricky to make exciting, you could spin the focus away from the product slightly by sharing a glimpse of what goes on in your company. Is your team doing a sponsored walk in fancy dress for charity? Share pictures on social media. Team-building activities on a Friday? Film it for your company’s Instagram story. The reasoning behind this is simple; part of telling your brand’s story is showing your audience the faces behind the product. These are the people who make your business successful, so as well as giving your customers a glimpse into company life, showcasing your employees on social media might give them a boost, too! 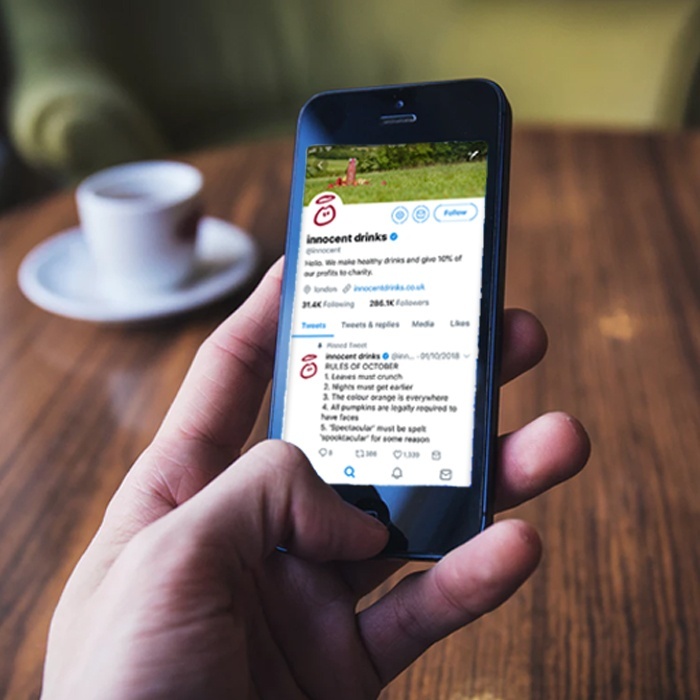 Innocent Drinks are known for their witty, relatable tweets, and often make reference to popular culture, which means that their social presence is seen by a wider audience. You don’t always need to tweet about your own products. Tweeting along to the latest BBC drama or the Great British Bake Off every once in a while is sure to gain you some brand recognition; the key is making sure your content is shareable and something that makes people want to know more about who you are and what you’ve got to say. Nothing is boring if it’s funny. But as well as making duller products more exciting, humour also helps to establish trust between consumer and brand. 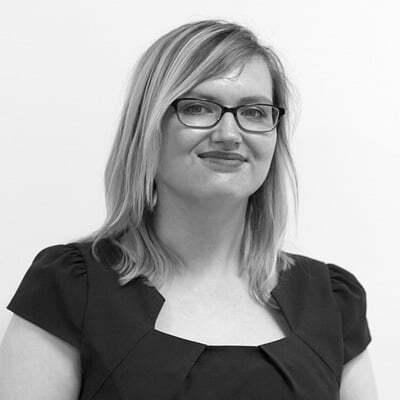 Showing some personality is key to winning the trust of your target audience and building up a loyal relationship with them, so don’t be afraid to inject a little humour into your digital marketing campaigns. For example, if you were to look at a list of the sassiest brands on Twitter, you probably wouldn’t expect to see a toilet roll brand make the cut. But, in 2014, that actually happened. 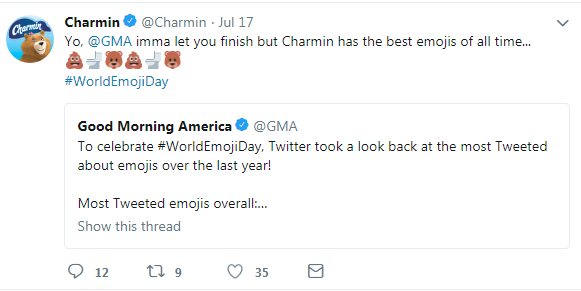 Charmin are renowned for their funny tweets, one of their biggest talking points being the hashtag #TweetFromTheSeat back in 2014. Playing to their audience, the brand harnessed the fact that 40% of young adults use social media whilst using the bathroom. The hashtag encouraged followers to tweet funny anecdotes whilst on the loo. Charmin have used ‘toilet humour’ to establish a personality that people remember. Why else would 12K+Twitter users follow a toilet paper brand? Customers might not immediately be interested in typically ‘dull’ products, but they are likely to be interested in celebrities. Take WeBuyAnyCar.com for example. Their recent multi-channel ad campaign was centred around national treasure Phillip Schofield, who is popular with television viewers young and old. Let’s be honest, nobody’s going to find an ad from an automotive purchasing and wholesale company that remarkable, but feature Schofe snuggling with a kitten and it changes everything. If you don’t have the big bucks to throw at a celebrity influencer, don’t fret. Using a local social media influencer can still drive great results. In fact, we’ve written a blog about it! Check it out here. If your product isn’t really seen as something exciting, it can be difficult to promote it on your social channels. Instead, you could publish blog content related to your product that potential customers might genuinely be interested in. For example, if you sell bathroom cleaner, you could break up your posts about the benefits of your product with more vibrant (and useful) content about bathroom interiors, home maintenance, cleaning hacks and so on. Sharing content in this manner is also a good way to establish your company as an industry expert, as well as targeting users at different stages of the buying funnel. You can even use customer experiences to back up the story of why your product is important. For example, if you sell cutlery, think about how people use it every day, what they use it for, the foods they eat with it and how it shapes their everyday lives. Pair these ideas with a long-tail keyword strategy and you’ve got the bones of a content campaign that customers can relate to. Need to transform your unremarkable products into something that people remember and want to buy, but unsure where to start? You’re in the right place! Get in touch to find out how we can create a stand-out campaign tailored to your business.